In the CPU parameters of the computer, each processor will be tagged with “TDP”, and many of them have little understanding of what TDP means. Even though TDP is known to represent CPU power consumption, there is not a comprehensive understanding of the relationship between TDP and actual CPU power consumption. Let’s see what is the meaning of TDP (Thermal Design Power) and the relationship between TDP and the actual power consumption of the CPU. What does TDP (Thermal Design Power) mean? The TDP stands for “ Thermal Design Power ” which is an indicator of the heat release of a processor. Its meaning is the heat released when the processor reaches the maximum load. The unit is watts (W). In general, the lower the TDP, the lower the CPU power consumption, the smaller the amount of heat, and the more power it saves. 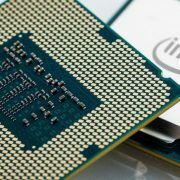 For example, Intel’s eight-generation Core i5 8500 TDP is 65W, many users think that this CPU’s maximum power consumption is 65W, but in fact is not the case, let’s talk about the relationship between TDP and the actual power consumption of the CPU, after reading it, understand there is a misunderstanding in this area. In fact, the TDP power consumption marked in the processor parameters is not the true power consumption of the CPU. Power consumption (power) is an important physical parameter of the CPU. According to the basic principle of the circuit, power (P) = current (A) × voltage (V). Therefore, the power consumption (power) of the CPU is equal to the product of the current flowing through the processor core and the core voltage on the processor. TDP refers to the thermal effect of CPU currents and other forms of heat energy. They are all released in the form of heat. Therefore, the TDP value actually marked in the CPU parameters is smaller than the actual power consumption of the CPU. For example, the i5 8500 has a TDP of 65W, but it does not mean that the maximum power consumption of this processor is 65W, which is actually higher. This is why we always calculate the power rating better than the rough calculation. The reason for the large host power. Generally speaking, TDP power consumption is the maximum heat value of the CPU, not the actual power consumption of the CPU. It can roughly reflect the heat generated by the CPU. 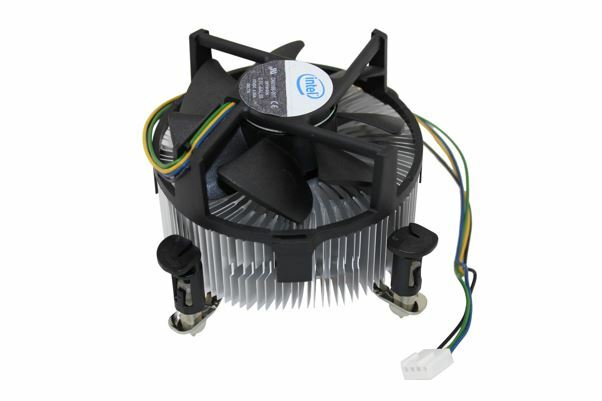 The power consumption of the CPU is largely a requirement for the motherboard, which requires the motherboard to provide the appropriate voltage and current; and the TDP is a requirement for the cooling system that requires the cooling system to dissipate the heat emitted by the CPU, that is to say, TDP. 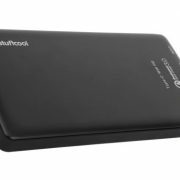 Power consumption is the maximum total amount of heat that the CPU cooling system must be able to dissipate. In fact, an important issue that restricts the development of the CPU is the heat dissipation problem. The temperature can be said to be the CPU’s killer. Low-calorie CPU designs are expected to reach higher operating frequencies and are of great benefit in the design of the entire computer system, battery life, and even environmental protection. The current desktop CPU, TDP power consumption is basically below 100W, the ideal value is less than 50W, but most of the CPU still cannot reach this level, but the future of the 10nm process CPU is expected to be achieved. Very long ago, the manufacturer will have a single tag for each CPU TDP, that is, between different models, this value is almost always the same, and follow a very basic principle, the higher the frequency, bigger the TDP (the higher the power consumption). In the past 15 years, both Intel and AMD have been “slacking” in adopting a unified TDP setting system. Instead of creating unique values for each model individually, how do you understand the role of TDP? For example, Intel’s eight-generation Core i3-8100/i5-8400/i5-8500/i7-8700 TDP is 65W, their actual power consumption is really about 65W? Obviously impossible. The most popular explanation at this stage is: With the same series of processors, the larger the TDP setting, the stronger the performance. TDP is a parameter that can be made official and does not refer to actual power consumption. As for how to set it, Intel and OEM manufacturers will adjust their expectations on the performance of the processor. TDP can also be viewed as a power wall. When the motherboard detects that the current processor power consumption reaches the set value, it will perform down-clocking and other actions to ensure the overall stability of the system. The first type of TDP setting rules are most common in notebooks. The TDP setting of the notebook processor is generally very low, such as the i5-8250U of the quad core is only 15W. The advantages and disadvantages of the low TDP setting are obvious. The disadvantages first, that is, it is easy to cause down-clocking, resulting in poor performance. 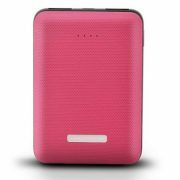 The advantage is that you can control power consumption and heat well. A very significant case: The performance of the i5-8250U with a TDP set at 25W was significantly better than that set at 15W. In the case of 15W, the 8250U is very prone to down-conversion due to touching the power wall. When we reduce the power wall limit to 25W, the CPU performance is much better. The TDP setting of an ordinary home desktop processor basically follows a little, but the TDP of a home desktop now has almost no practical significance, because now the desktop boards are cracking TDP! In other words, the desktop board unlocks the power wall by default in order to maximize the performance of the CPU. Some people think that the TDP of the I5-8500 (3.00~4.10GHz) is 65W, so its actual power consumption is about 65W, but you can know with software testing that the actual power consumption of the i5-8500 with a full core stability of 3.90GHz is sufficient. About 80W (this is the total power consumption of Core Graphics + CPU) . If the desktop board does not crack the TDP, then the i5-8500 definitely cannot stabilize the full core 3.90GHz, which is estimated to be 3.3 to 3.5. The TDP setting of i7-8700 (3.20~4.60GHz) is also 65W, but the actual maximum power consumption is about 80W~100W. Of course, the actual power consumption will also depend on the value of the CPU core voltage. 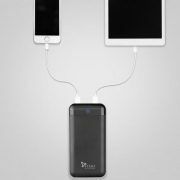 The higher the core voltage, the greater the overall power consumption. Therefore, a physically poor CPU is theoretically more power consuming. Such as the i5 8600K and i7 8700K itself is to unlock TDP and frequency multiplier CPU, which is to support the processor overclocking, 95W here is completely looking good-looking, simply cannot represent what, the actual power consumption is significantly greater than this value. Many Xeon E5’s TDP (Thermal Design Power) is set at 130W or even 150W or higher. 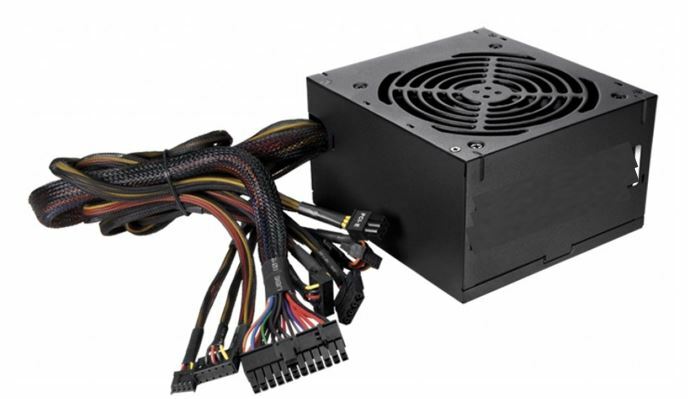 This is because servers and workstations often require a high-load operation not that their own power consumption is very hot, and the power consumption of multi-core low-frequency power is generally also not as good. In everyday use, the actual power consumption of these processors is even lower than the ordinary high-frequency desktop-class processor with a TDP setting of 95W. This means that on a motherboard that does not crack the TDP, setting the processor TDP to 95W will definitely be more stable than 65W under high-load operation, because the 95W power wall becomes higher, and the CPU performance will have more room. Some people have asked why the i7-7700 has a core graphics, which is clocked at a higher frequency than the E3 series. The same architecture E3-1230V6 not only lacks a core graphics but also has a lower clock speed because its TDP has to be set at 72W? This is because the Xeon E3 series is mainly designed for workstations and servers. High-load data processing and high-intensity long-time rendering work will greatly depend on the stability of the processor. In theory, TDP is set to the 72W E3-1230V6 will be more stable than the I-7-7700 during high loads. In our daily home environment, the actual power consumption of the E3 without a video card will be slightly lower than that of the i7 (but because the home motherboard breaks the TDP, this theory also fails). In general, TDP (Thermal Design Power) is now just a symbol for the CPU to measure heat and performance. Do not be silly to use it as a measure of power consumption. Therefore, when selecting a power supply, note that the rated power should not be too small. Determine the TDP size of a CPU, mainly determined by factors such as process, CPU frequency, and performance. In general, the more advanced the process, the smaller the CPU heat, the TDP value can naturally be small. For example, the current TDP of the 14nm CPU is 65W. If the next-generation technology is upgraded to 10nm, the TDP value will definitely decline, with the K and without K, that is, the CPU support does not support overclocking, and it also affects the TDP value.